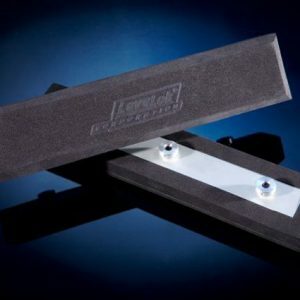 HEY… DID YOU KNOW that Levelok products meet the recently published, first-of-its-kind, Ladder Accessory Standard in North America, ANSI, A14.8? 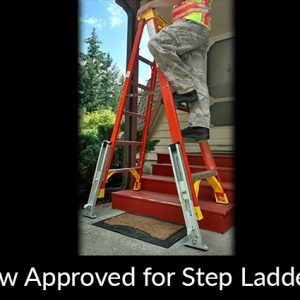 Levelok Ladder Leveling Systems meet the recently published ANSI A14.8 Ladder Accessory Standard for Type 1AA, 375 Pound Duty Rated Ladders. 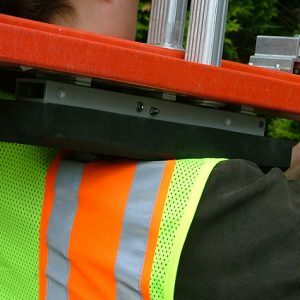 View cart “Ladder Leveler Stabilizer (KeyLok® Quick Connect Style)” has been added to your cart. Includes a pair (2) base units, installation hardware and instructions. 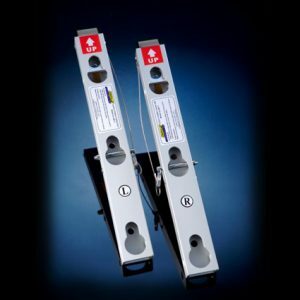 KeyLok Ladder Leveler Conversion Kit – Converts pair of Permanent Mount Ladder Levelers to full KeyLok Ladder Leveler Kit. 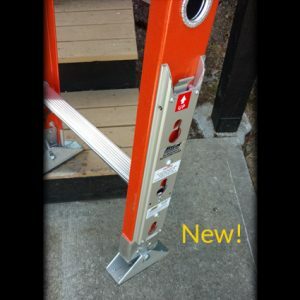 Includes: 6 KeyLok Mounting Knobs, 1 pair of KeyLok Base Units, Tube of Metal Adhesive and Instructions. 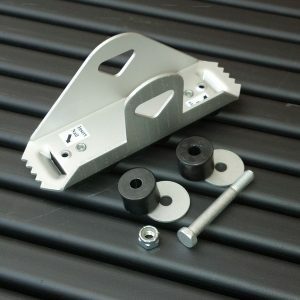 Aluminum Spacer Plate kit for spacing ladder leveler out and away from ladder rail an additional 1/8″. 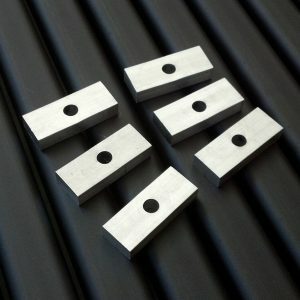 Set of 6 thin aluminum spacer plates. Dimensions: 1/8″ thick x 3/4″w x 2″ long. 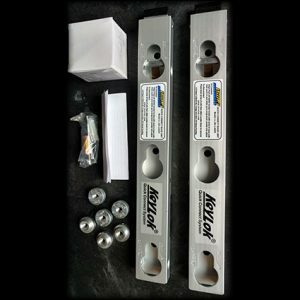 Aluminum Spacer Plate kit for spacing “base unit” out and away from ladder rail an additional 3/8″ Set of 6 thick aluminum spacer plates. Dimensions: 3/8″ thick x 3/4″w x 2″ long. 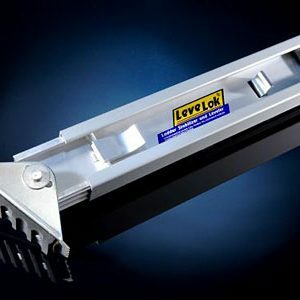 You can purchase additional shoes for your Levelok Ladder Leveler. Shoes are heavy duty, aircraft aluminum that swivel front to back and side to side. 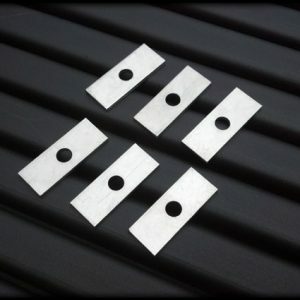 Shoe tread is attached with stainless steel rivets. New, super-high-grip rubber tread is secured with 3 extra-wide fasteners. Each shoe comes with 2 specially positioned holes, enabling a 16d nail to be pushed or driven through. Kit includes one shoe, one bolt, one lock nut, two washers and two black cylindrical spacers. Weight: 5.8 ounces. 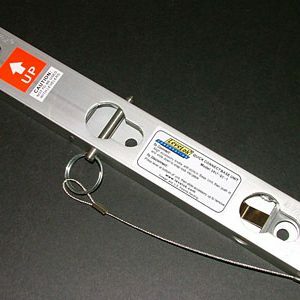 You can purchase additional shoes for your Levelok Ladder Leveler. Shoes are heavy duty, zinc plated steel that swivel front to back and side to side. New, super-high-grip rubber tread is secured with 3 extra-wide fasteners. Each shoe comes with 2 specially positioned holes, enabling a 16d nail to be pushed or driven through. 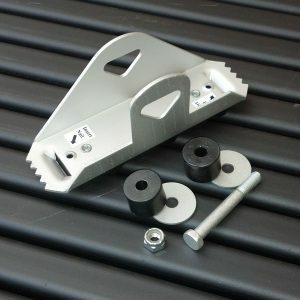 Kit includes one shoe, one bolt, one lock nut, two washers and two black cylindrical spacers. Weight: 13 ounces.